Surely one of Britain's youngest hot rodders, Jake Smith turned a tragedy into something that should make us all proud. “I finished it in February, 2014. It had taken two years, but that was every day after school. I used to drag my friends down to help me. They were keen and willing, and all into cars, so I got them doing all my dirty jobs. When my uncle was very ill and laid up in bed, he had my grandparents outside in winter, sanding and priming the cab roof! Now that's proof that this truck will be with Jake forever! He's clearly dead keen, and is determined to make the most of every single mile of the 1,500 he's limited to each year. He says that, for a 60 year old truck, it's surprisingly sprightly with getup- and-go when it needs it. He also enjoys the distinctive noise of the Ford flathead wherever he goes ... as does everyone else; those big dual exhausts are far from quiet! “I passed my test a year ago, and got a Corsa as a daily. The hardest part of the truck build was getting insurance on it, and in the end only one company in the UK would cover me on it – 1953 Ford F100 ClassicLine. First they said they would, then they said they couldn't, then they said they could but only on a policy limited to 1,500 miles per year. I was devastated, thinking I'd finally get it finished and then not be able to drive it. I didn't want to have my mum insured to drive it, then her driving it to the shows for me – that would have defeated the object. She's very keen, though, my mum! She's more excited about the truck than I am. She loves Yanks, thanks to my uncle – he's always had something interesting, a Corvette, or a custom Ford Pop. In 1959 the old Popular was replaced by a new version that was in production until 1962. 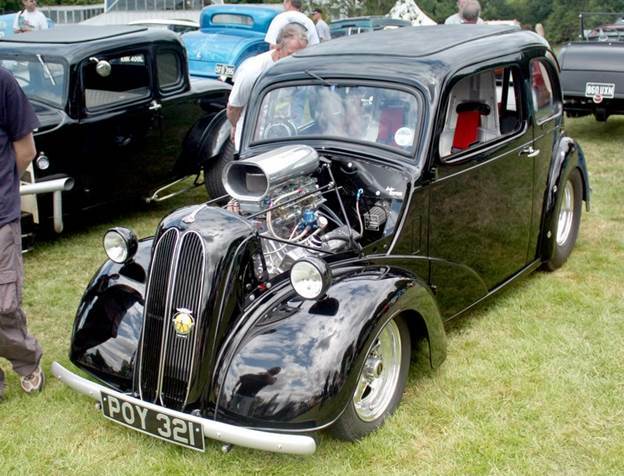 Like the previous version it used a superseded Anglia's body shell, this time that of the 100E, and it was powered by a strengthened 1172 cc sidevalve engine producing 36 bhp. “Since having it on the road, it's more than lived up to my expectations. You pull up at a petrol station and people are stopping to take photos. People pull alongside me at the lights, expecting me to pull away slowly but then I trash them with smoke pouring off the tyres. I'm not your average boy racer... I get a hell of a lot of looks, but people pull up and say 'Is that your dad's?' When I was trying to get information for the build, very few people would help. Some wouldn't believe I had the truck, others thought I was joking, sometimes I'd ask a question at a show and the owner would just give me a sarcastic remark then walk off. “It's very comfortable to drive, but the seat's very springy and the suspension's quite hard, so sometimes you'll go over a bump and hit your head on the roof! If it wasn't for the seat, it probably wouldn't be such a comfortable drive. I drive it locally whenever I can, and took it to Gary's Picnic at Shakey County. Its first show was a local show called NASSA, and I won a top ten prize. Yank’s is one of those traditional grass roots drag racing and hot rodding weekend’s packed with colour, entertainment and of course big inch American V8’s pounding the quarter mile pavement! 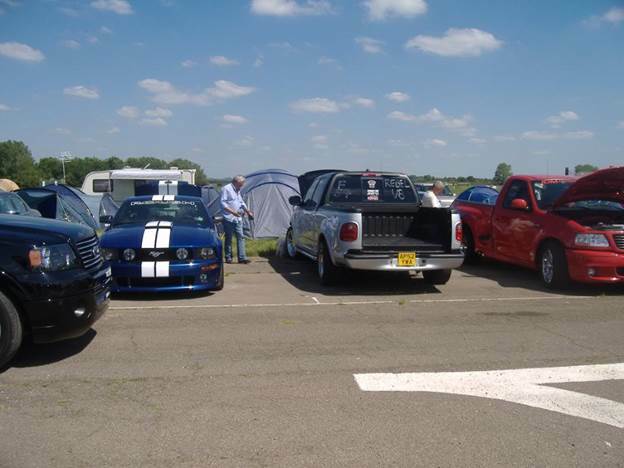 Every year the event attracts more cars and more people than ever before, and we expect more of the same this year! At Yanks you will find everything from classics to late model street and strip Fords, Dodges, Pontiacs and Chevrolets starring in a celebration of all things U.S. automotive!